Listen to Beck's Remix of U2's "Love Is Bigger Than Anything In Its Way"
Taken from 2017’s Songs of Experience, the remix transforms “Love Is Bigger Than Anything In Its Way” into an alluring dance track. Beck isn’t the first to put a spin on the track, with remixes from artists like Cheat Codes and Will Clarke released earlier this year. 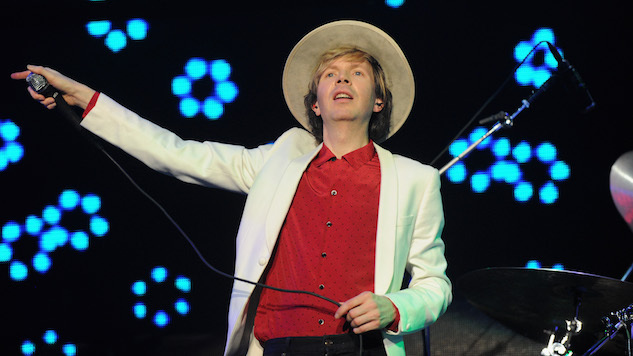 In April, Beck remixed “Lights Of Home” for a Record Store Day-exclusive release of the track. Dubbed the “Free Yourself” remix, the version also featured backing vocals from Haim. Check out Beck’s remix of “Love is Bigger Than Anything In Its Way” below (or via your streaming service of choice here), plus throwback U2 and Beck performances from the Paste archives.